Saxophonist, composer and teacher Mornington Lockett studied at Dartington College of Arts, gaining a first class honours degree, before moving to London to attend the Guildhall School of Music And Drama as a post-graduate. As a member of the Ronnie Scott Quintet, Mornington toured widely, in the U.K. and internationally. He has recorded albums with Ronnie Scott, Jim Mullen, Stan Tracey, Don Grusin, Martin Drew, Claire Martin, Sarah Jane Morris and Ian Shaw. Recent commercial studio work includes a session with Oasis and even a number of ‘smooth jazz’ albums with Shakatak. Mornington has also played live with many international jazz artists including Jimmy Smith, Arturo Sandoval, Jon Hendricks, Franco Ambrosetti, Niels Henning Ørsted Pedersen, Dave Weckl, Bernard Purdie, Phil Upchurch, Jon Faddis, Ulf Wakenius, Béla Szakcsi Lakatos, Gabòr Bolla, Nicolas Meier, Gregory Fine, Georgie Fame and Jack DeJohnette. In 1989 Mornington joined the Jim Mullen Quartet, which became incredibly popular on the UK circuit and effectively launched his career. This led to an invitation for Mornington to lead his own quartet at Ronnie Scott’s Club, and eventually to joining the Ronnie Scott Quintet, which toured all over the world for five years between 1990-1995. In 1995 Mornington performed in concert with Cuban trumpet star, Arturo Sandoval at the Barbican Hall, and as a result was asked to rejoin the group for part of their U.K. tour. In 2001 Mornington performed for a week at the Jazz Café in London with US blues Hammond organ legend Jimmy Smith. He then worked with Jimmy on all his subsequent visits to the UK and toured Europe extensively with the band in the summer of 2004. In 2004 Mornington was involved in an ambitious project with the renaissance vocal group ‘Sequentia’, reinterpreting the music of Thomas Tallis for choir and saxophone improvisations in honour of the 500th anniversary of the composer’s birth. A second concert took place in 2006 involving the music of Spanish renaissance composer Victoria. In May 2008 Mornington participated in a cultural exchange with the Hungarian government, playing a series of concerts in Budapest and London with multi-award-winning Hungarian pianist Béla Szakcsi Lakatos and his trio, which featured, on one occasion, legendary US drummer Jack De Johnette. Between 2000 and 2010 Mornington was busy working and recording with the late Martin Drew with their co-led group: “New Jazz Couriers”, a tribute to Ronnie Scott and Tubby Hayes’ famous band from the 1950s. The band released four critically acclaimed albums and won the 2002 British Jazz Award for Best Small Group. In 2005 the group toured the UK with the Swiss trumpet virtuoso Franco Ambrosetti and Mornington was subsequently been invited to Switzerland for a number of concerts and clinics. 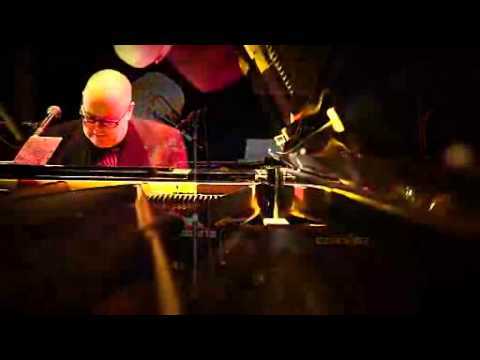 In 2008 Mornington worked with is a piano-less trio with bassist Laurence Cottle and drummer Martin Drew, called “LCD.” In November of that year the group joined forces with the celebrated Russian pianist Gregory Fine for a short tour of Samara in Russia. Another tour of Siberia is being planned for 2011 incorporating Claire Martin, Jim Mullen and Ian Thomas. Mornington Lockett has worked regularly with legendary British pianist and composer Stan Tracey for 15 years. Highlights include a recreation of the iconic 1965 ‘Under Milk Wood’ suite, a concert at the Queen Elizabeth Hall celebrating the centenary of the birth of Duke Ellington, and a performance of Ellington’s ‘Sacred Music’, at a packed St. Paul’s Cathedral in 2006 as part of Stan’s 80th birthday celebrations. Mornington also appeared with Stan Tracey at the 2009 Proms at the Royal Albert Hall. A new octet album was released in 2010, and the band is currently on a promotional tour. Other 2010 highlights included the Ronnie Scott's 50th Anniversary Concert with Jon Hendricks and a UK tour, and appearance at the Royal Northern College Of Music Gala Saxophone Day, with Andy Scott and Rob Buckland's nine-saxophone group "Sax-sault". 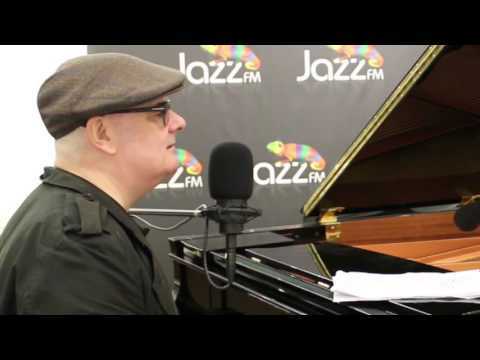 Tell us what you think of Ian Shaw, Mornington Lockett Quartet below..